This is the most comprehensive plug & play GPS Tracking device in the world with over 30 features including advanced reporting, fuel consumption monitor, live vehicle monitoring and much much more. We are committed to offering the most advanced GPS tracking service in Australia and have vehicle tracking plans from just 53c per day. 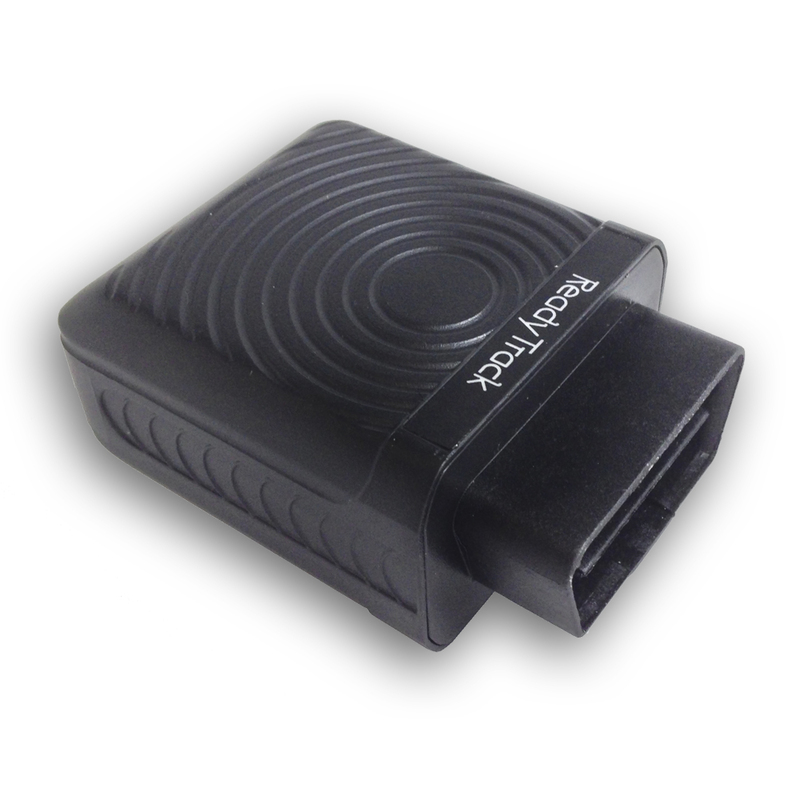 The Ready Track VX60 is a GPS vehicle tracker specially developed and designed with OBD II (On-Board Diagnostics II) functions, mainly used for vehicle tracking, anti-theft, vehicle examination and fault diagnostics etc. It can provide professional analysis for economic and safe driving. VX60 can be easily and quickly installed: plug in and play. No need for complicated installations leaving damage and messy wires in the vehicle; simply plug the device into vehicles OBD-II port under the dashboard. Although Ready Track does offer free installation in the Sydney Metro Area. Not only reports latitude and longitude, but also provides a link for quick access to Google maps on your smart phone. Dual tracking mode help track by GSM station in case of GPS signal loss. Monitor and manage the vehicle by historical report. It can record the data for 6 months by 3 minutes intervals. To see an in-depth view of what is possible, download the user manual HERE. Many of today's cars have high tech alarm systems and engine immobilisers which make it difficult for thieves to steal a car, so they are resorting to actually towing the car away to a location where they will have time to dismantle the car or bypass the alarm system.The Ready Track VX60 has an ingenious feature called the "Tow Alarm" which alerts you by SMS when you car is being towed away, giving the opportunity to notify the police and track its location. The Geo-Fencing features allows the user to draw an area on the map that they would like the vehicle to stay in; if the vehicle drives inside or outside of this fence the device will send you an SMS advising you of the situation. In the event that the vehicle user may try to tamper or remove the device, you will receive an SMS to notify you of the situation. The Ready Track VX60 GPS Tracker comes with a conveniently placed SOS button; if the user is in any kind of distress they can press and hold the SOS button for 2 seconds which will then attempt to call up to three registered phone numbers allowing them to listen in and receive a real time GPS location by SMS. To get the most out of your device, it is best to keep it up to date with the latest firmware. The Ready Track VX60 has Over The Air firmware upgrades which means you can just log into the web portal and update all your devices remotely at the click of a button. With a subscription to the Ready Track web portal you can monitor your devices GPS location and On Board Disgnositcs in one convenient, easy to use web portal. To see an indepth report of everything the Real Track web portal can do, download the user manual HERE. To see the list of features for each tracking service, CLICK HERE. After the 12 months of tracking has expired, you will have the option to re-subscribe to another 12 months of tracking.